Waitakere Ethnic Board (WEB) is organizing a Forum on: “Crime and Lawlessness in West Auckland: How can we help and where to from here?” This is at West Wave Pools and Leisure Centre, 20 Alderman Drive, Henderson on 3 July, 2014 from 6-8.30 pm. We hope to see you there if you are concerned, and hear from those who may know what the problem is. From Left: Shane Henderson,, Deputy Chair, Henderson Massey Local Board, and Co-Chair, Ranui Action Project (RAP), Brenda Brady, Member, Henderson-Massey Local Board, and Councillor Linda Cooper, Councillor and Co- Chair of RAP, with candles at Candlelight Vigil to honour the two Ranui slain ladies, and protest against family violence on 30 May, 2014 in Ranui. Waitakere in general and Henderson in particular has been reeling from a spate of fatal crimes of one type or the other. Waitakere Ethnic Board (WEB) had earlier expressed its deep concern at loss of four innocent lives in West Auckland in as many weeks. On the heels of a fatal shooting and two fatal stabbing incidents, WEB was shocked to learn about killing of Arun Kumar, allegedly by a 13-year old youth, accompanied by a 12-year old accomplice, reportedly from dysfunctional families a stones-throw away from those who should have helped. Waitakere in the past had a scheme whereby Security Guards and Police worked in cooperation and consultation to report and apprehend youths of school-age in cases of truancy. This ensured young people were removed from the streets and put back in classrooms. I wonder what happened to this initiative of a visionary Waitakere City Council, and its former Mayor, Bob Harvey. Is it also the casualty of a Super City? Children and adults of all walks of life attended the Candle Light Vigil in memory of Arun Kumar, and request for police attention at Henderson. There are no simple answers to these issues, hence WEB has decided to assemble a credible list of speakers who are involved with the community and try to seek answers to make Auckland a city which aims to become the most liveable one in the world. Manoj Tahal: Waitakere Indian Association: A historical perspectives of Indians being victims of crime due to nature of work, concerns of the community, and perception of failures by government and other agencies to address the issue and what are the expectation of the community. How long will we continue becoming statistics? 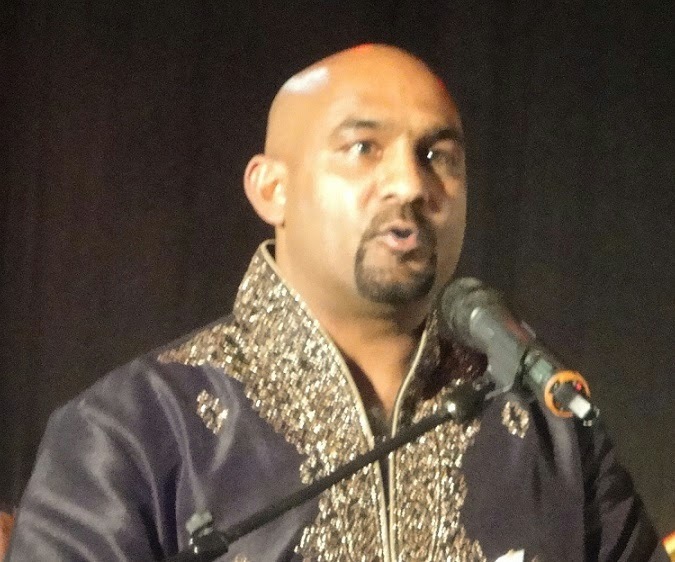 Manoj Tahal , Past President of Waitakere Indian Association, and Funding and Sponsorship director, will be speaking in the forum of behalf of the Indian Community, and voicing their concern on adverse statistics from the community in fatal crimes. John Tamihere, CEO, Waipareira Trust: Predicament of Dysfunctional Maori families and inability of Maori organisations to tackle the problem. Why? What are the constraints? 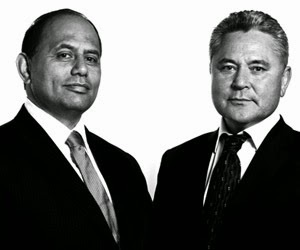 Why, despite Maori Iwis worth some $40 Billion dollars, their wealth is not used to benefit their people directly? What can be done to address the problem in Maori families that are at the forefront of many crimes? Who are the beneficiaries of this money and what can Maori leaders do to help? What can Government do to help? Until recently, the inseparable media commentators from Maori Community, Willy Jackson (left) and John Tamihere, who is also the CEO of Waipareira Trust and will be speaking in the Forum on behalf of Maori Community. In a recent article, Willy Jackson called for the system to be changed where early intervention could have avoided this happening. With Social Welfare Minister Paula Bennett as one of the speakers, we will perhaps be able to find our what needs changing. Senior Sergeant Matt SRHOJ: NZ Police. Like some media reports, is this case similar to the case of Navtej Singh in Manurewa in 2010, where he was reportedly allowed to bleed to death because police were busy following correct procedure while the victim was bleeding to death? What happened to the police and Security guard collaboration as initiated by former Waitakere City Council on tackling truancy issue? What are the constraints of the police? What corrective actions have they taken and are going to take to address this problem? Is the reduction in crime statistics reflected on the streets of Henderson? How? Hermann Retzlaff: Opposition Labour Party. If Labour Party comes to power, what changes would they bring about to address the problems in law and order situation, and special vulnerability of ethnic migrants in front-line services? Are legal systems strong enough to deter the criminals? Do they only restrict the law-abiding citizens to protect themselves, while giving criminals all the rights? Are criminals protected more than law-abiding citizens? Penny Hulse not only happens to be deputy mayor of Auckland Council, but also a Patron of Waitakere Ethnic Board which is calling this Forum on Crime in Henderson. Hers, she is seen addressing the audience in Henderson during candle light vigil on 20 June, 2014. She will be a speaker in this forum as well. Penny Hulse: Deputy Mayor, Auckland Council. What is the position of Auckland Council in this matter? To what extent is law and order the local responsibility of the Council and when does it pass to the government as a national responsibility? Where, if any, is the demarcation of this? To what extent can Local Boards help in this issue? What will Auckland Council do to address the concerns of its ratepayers in this issue? While Paula Bennett as Minister for Social Welfare, and an MP representing the electorate of Waitakere may be proud to be a "Westie", however, recent happenings in West Auckland do not make anybody to be proud of Henderson, and West Auckland, who some have dubbed as "Wild West. "Willie Jackson has accused government and authorities of not listening to the community, having added to the problem. Perhaps this will provide her and the government an opportunity as to why as a Social Development Minister, and a Maori, she has been unable to arrest the problem in her own electorate. Paula Bennett: Minister for Social Development. As a Maori, local MP and a Minister responsible for the portfolio of social development, child, youth and family, what is your take on such dysfunctional families which are causing havoc to law-abiding people? What action will MSD take to address the issue to tackle hand-out mentality and put people to productive use? Is the law too lenient on criminals and jail term too short? Is the hand-out-mentality breeding generation of criminals? Cannot community be involved as partners in tackling this problem, especially when they happen so close to home, within your electorate? Some questions and issues raised above may not be raised by the mainstream, side stream or ethnic media, as they are businesses which need to be expedient to their advertisers and people who finance them, and hence may involve an element of self-censorship. An evident of this is from an un-reported statements from one on our community members made to a media, where the reporter quipped that as the national broadcaster, they could not allow such statements. Does this surprise you? Do we have a media which can carry out real investigative reports, and not merely indulge in reporting the statistics? At the candle light vigil against increasing crime in Waitakere, from left, Vanessa Neeson, Chair Henderson-Massey Local Board, Roshni Prakash, Navin Prakash, President, Waitakere Indian Association and Tracy Kirkly, Member, Henderson-Massey Local Board. Media has been invited and hope they take time out to report the concerns of the community, and try to go to the bottom of the problem and concern, and not merely report the statistics on ethnic killings. [About the Author: Thakur Ranjit Singh is an Indo-Fijian media scholar, with Masters in Communication Studies with honours from AUT. After failing to be employed by media institutions and Auckland Council, which only seem to pay lip–service to the notion of diversity in media, he uses his energy to work for ethnic communities and run his own blog sites, KIWI PUNDIT and FIJI PUNDIT to fill in the vacuum in reporting that fail the radar of established media groups. As is usual for qualified migrant people unrecognised by the system, he drives a school bus on a part-time basis. Thakur is currently a Board Member of Waitakere Ethnic Board and is its Media and Community Liaison Officer, and will chair this Forum.